Writing Critical Response Essays: Tips. Let's say you have finished watching a movie or reading a chapter in a book. You already have an idea what the material talks about. But now, your teacher asks you to write a critical response essay. How do you make one? Is it enough to simply express your thoughts about your topic? Apparently, it is not sufficient. You will have to dig deeper, and write beyond what one would normally say. In short, substance is the key. Here are some important tips in writing critical response essays. The first is to tell your reader what you are responding to. This is usually done in the introduction paragraph. Make sure to write down the title of the source, and the type such as book, journal article, movie, or poem, among others. Include as well the name of the author, the date of publication if available, and the location where you found your source. All these things are important in writing your critical response essay because they briefly acquaint your reader to the material you are about to discuss. Without these details, your audience will be clueless as to what you will be talking about. The second tip is to focus on one apsect of the material you are responding to. It may be about what makes the movie interesting, or the primary feature or scene that makes the storyline of a book outstanding. If you are to write a critical response essay, it may also concern itself with a compelling line from a poem, or a controversial stanza from a song. Whatever the case may be, the point is to single-out the primary attribute or part of the material that makes it worth the while to talk about. 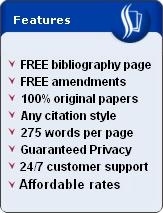 Doing so will allow you to cover enough ground in your paper without being inundated with tons of side topics. Another tip in writing a critical response essay is to use a theoretical framework. For example, you may use Sigmund Freud's theory in psychology in order to explain why the character in a movie behaved in a particular manner. Another example could be a theory in criminology. You may use it to analyze and discuss why a scene in a book or a stanza in a poem or song is intriguing. Whatever theory you use, be sure to use it as a guide in fleshing out the intricate details of your topic. It will give more depth to your discussion, making it appear more credible and worth reading. A final tip is to correlate what you are responding to with current or even historical events. This will give your paper a concrete foundation that your readers will be able to connect with. The result is that they will be able to understand your thoughts from their own perspective. 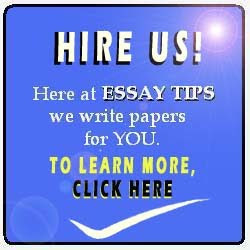 At the end of the day, you need your critical response essay to be effective. Otherwise, all your thoughts will just be a collection of words that will hardly convince anyone, let alone make sense. Or, at least, you should know how to write a critical response essay. Do check the links above at the header of our website if you need to contact us. We have other things to offer.